Daring and dramatic, our limited edition Lip2Cheek, Diabolique, is the perfect complement to your fall fashions. 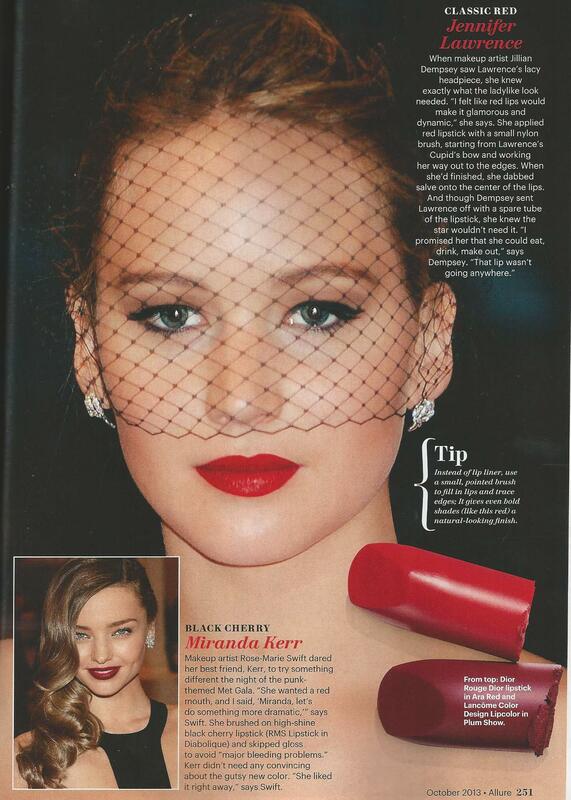 We are so happy to debut this shade in the October issue of Allure Magazine and on the wonderful Miranda Kerr at the Met Gala. A step up from the classic bright red lip, Diabolique is a beautiful shade of burgundy wine that is sure to make an impact. If you want to recreate Miranda’s entire look from the Met Ball, be sure to check out Rose-Marie’s guide here. Additionally, this limited edition color will only be available online at rmsbeauty.com while supplies last, so don’t miss out on the must-have lip color of Fall 2013! I looove Miranda, she is gorgeous! And she has great style.